Extract from Paralegal's CV - more "incomprehensible waffle" than a "blooper" but included nevertheless! I am a highly motivated, focused, determined, enthusiastic person with a sophisticated acquaintance of grasping beyond what individuals reckon in a brief conversation. Startling communication skills that allow me as an interlocutor to predict and endeavour to persuade clients. I have a confident pro active character which enables me to use my own initiative at work, a stereotypic ideas changer with ability of generating new ones. I can work proactively in a complex and busy environment. I am a quick learner who is able to absorb new ideas. HR departments - seen any good bloopers recently? Send them over to cv@ten-percent.co.uk and if I publish them I'll send you a £10 Waterstones voucher by way of thanks. 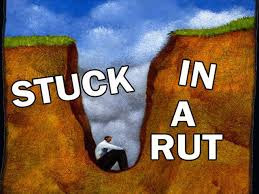 Is your career stuck in a rut? If you are going into work feeling thoroughly miserable and hating every minute of it, here are some tips for strapping a proverbial rocket to your back and changing your life. 1. Hand in your notice. Go on - you can do it. All it takes is a few words "I resign" or "I'm off to find a job where I am actually appreciated and get paid more than an intern". You could even tell the senior partner what you really think of him/her but this is not recommended as your reference may not be very nice. 2. Write down three things you would love to do in the next two months. Close your eyes and pick one at random. Go and do it. 3. Study for a degree in something you actually like. So many solicitors do LLB Law without actually enjoying a minute of it, whereas they would probably have loved doing a history degree or a politics degree. Its never too late - go and do one. 4. Close your eyes - try to picture yourself in your dream job, your dream location and with the remuneration you believe you are worth to enjoy life. Now write all three things down on a post it note, attach it to a note book or your iPad and keep looking at it. It is possible! Email me when you get there and I'll send you a box of chocolates to celebrate. 5. Close your eyes again - what is it about your job that you don't like? Is it your money grabbing, pernickety boss, your freezing cold or boiling hot office or your ridiculously long hours? What about your colleagues - do you get on with them? If you think of the first thing you hate about your job what is it? Write it down. Now promise to yourself to sort this one thing out in the next four weeks in whatever way you can. Make yourself a reminder on your calendar and check you have done it. Obviously this advice does not involve attaching concrete blocks to the senior partner's legs and lobbing him in the canal, no matter how tempting this may be..
6. Ever thought about life elsewhere other than law? Is there more to life? 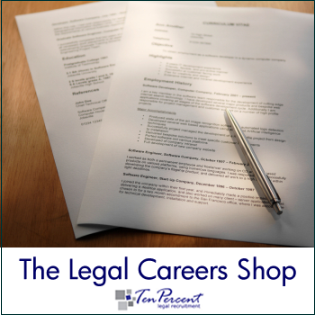 Is it possible to get a job outside law? Yes of course there is more to life and of course it is perfectly possible to get a job outside law. You just have to go and do it. 7. Want to be your own boss? Had enough of yours? Do it. You don't have to leave your job - set up a business - work in the evenings to start. You may surprise yourself as to just how much work you have to do to make any money (I'm typing this at 8pm after a busy day in the office) but at least you won't have a boss watching you all the time and taking the benefit of your efforts. 8. Do nothing. Stay as you are. Be depressed and moan a lot about your job, your life and everything around you. None of its your fault - misery is just part of life and you have to accept it.